This one had a $45 price tag on it! Now I've had this tray for several years now and although I still get plenty of use from it, the style of the tray no longer reflects the tone of the decor in my home or back patio where I plan to use it. I thought the best way to transform this tray would be to paint it with my homemade chalk paint first and then change up the surface of the tray. I grabbed some paint I already had, and using a simple chalk paint recipe, I mixed up a light turquoise paint and brushed it right over the black sides and bottom of the tray. The best thing about chalk paint is that there is no prep work involved...all you need to do is to just start painting! (Click here for the recipe.) After the paint was completely dry, I distressed it with 100 grit sand paper. Then I dipped into my wine cork collection which was beginning to overflow a wee bit, and using 44 corks of varying sizes, I cut them in half length-wise. I chose to use wine corks not only because I happen to have an abundance of them, but the corks themselves are functional as well as stylish. They are absorbent so they can sop up any of the condensation which tends to form on glasses and pitchers containing cold beverages during the warm summer months. In addition they also provide a non-slip surface for these items as well. I arranged the cork halves end to end and when I finally came up with the configuration that worked best, I simply glued them with my trusty glue gun right onto the existing tile. Now I have the perfect serving tray for hosting small summer gatherings on my back patio. I hope this post has provided for you an idea or two of how to update a serving tray or anything else you have using simple wine corks, some chalk paint and a hot glue gun! I started saving corks for this project, but never finished. Now where did I put them? I guess I need to buy more wine and start over. I hadn't thought of using it as a hot plate. Clever idea. 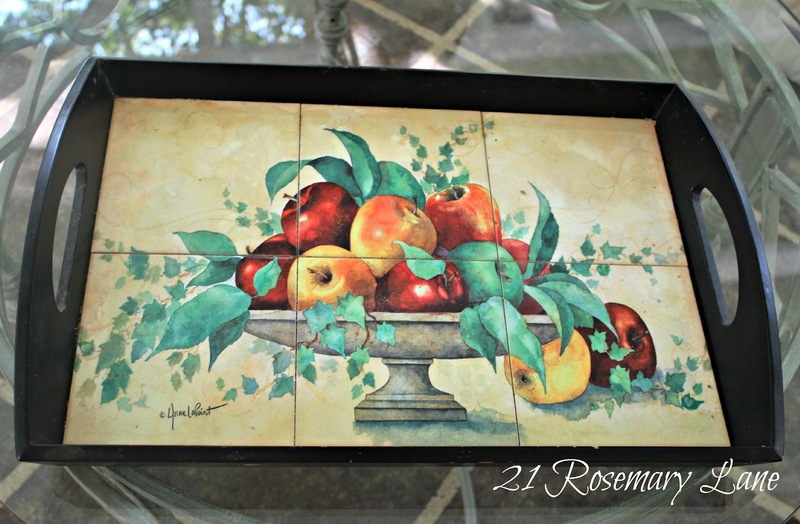 I absolutely LOVE this tray! I think I'm going to try this, too. What did you cut your corks with? A big ol' kitchen knife? Thanks for the beautiful inspiration! WOW! 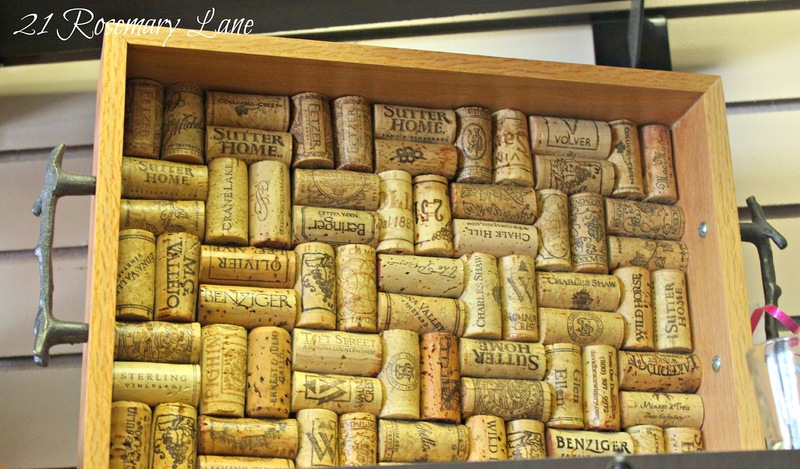 this is awesome I love it I would enjoy making one myself but I don't know how I would collect all those corks! We'd love to have you link it up at our "Home is Where the Heart is" Link Party! How wonderful! 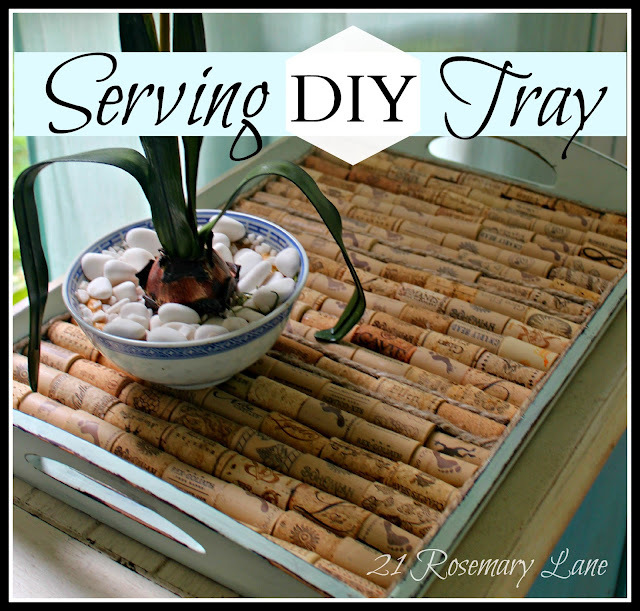 I love this idea,,,your tray looks better than the expensive one! I love the contrast of the cork and the paint. This is really adorable. Thanks for sharing! Love this idea. I think I may just do the same. Thanks. Oh I think you out did the stores version. This is so pretty. Very creative idea - love that! Would love you to link this up at my party! Barbara: This is so pretty--I will give this a try! It came out SUPER! I save wine corks and have others who save them for me as well. You never know when a cool project or use for them will come along (such as this)! 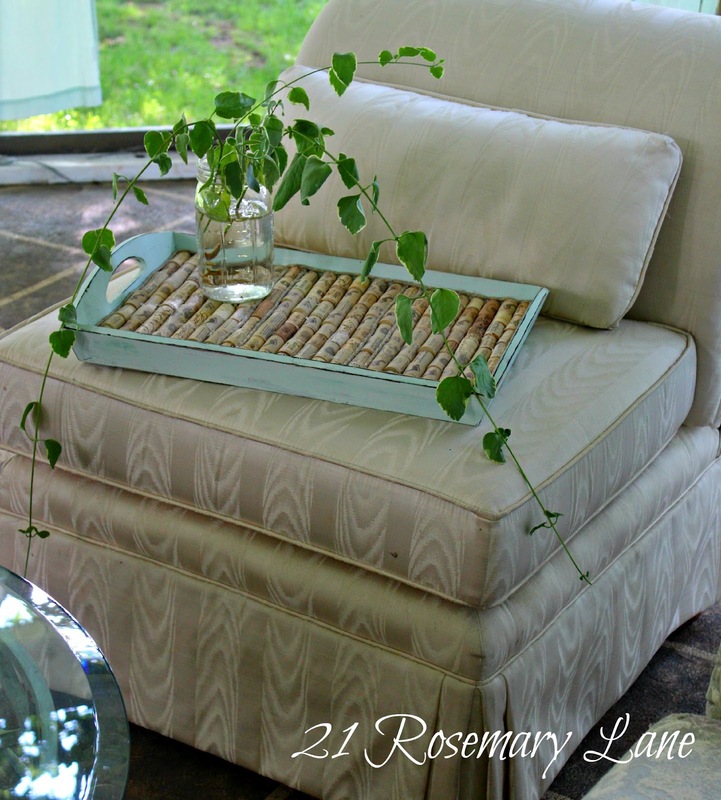 Your paint color choice for the tray was great and the entire ensemble looks wonderful. Nice job! What a great idea! 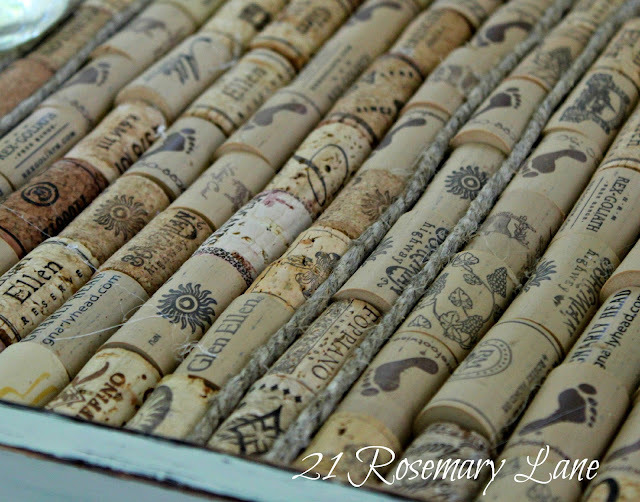 I've been saving up our wine corks too and needed a fun project to make with them...now I know one! Well you know I love this. Wine cork trays, wine cork wreaths, wine cork everything! I love this idea. We have SO many corks saved and I didn't know what to do with them...until now! Oh what a cute project! 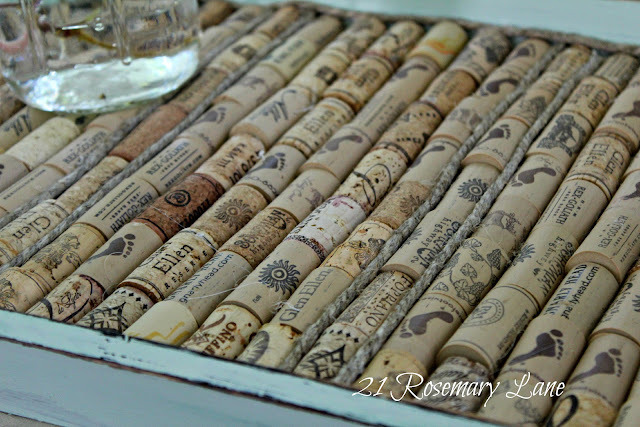 How clever...I am always looking for "cork ideas"...I created a backsplash and some bulletin boards, now I might try this! I love it, such a fun project and you can use this in so many ways. nice work! That is just pretty Barbara! Thanks for cming to the party and linking up - so happy you did! I really like this clever idea, Barbara! It looks so nice! Thank you for sharing to Potppourri Friday! Can't tell you how many corks I have been collecting for years, I have done several crafts, have seen similiar trays, now, seeing yours, I must do it! Love the tray with the handles, thanks for sharing. Genius. 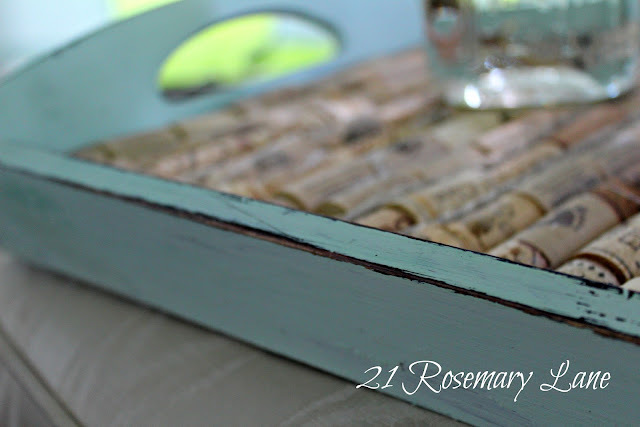 Love the color and the corks make a fun and functional tray. Not to mention that corks by themselves are way artsy cool! I love the tray. I have two trays that I'm going to redo-one like yours and one with a french label that I saw over at Setting for Four. Copying yours will be way easier I think! Barbara, I am in love with your project. Yours actually looks better than the $45.00 one in the store! I am saving my wine corks. I already have an old tray! The soft aqua you painted the tray gives it a lot of sass! 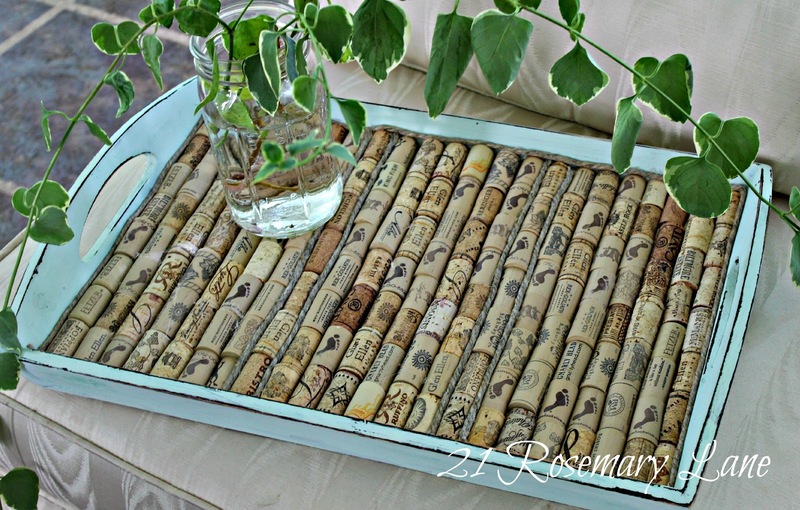 Thank you so much for joining TUTORIALS TIPS AND TIDBITS with your wine cork tray!